WASHINGTON – Prespa Agreement between North Macedonia and Greece could lead to other agreements in the Balkans, says the European Union’s commissioner for neighbourhood policy and enlargement negotiations Johannes Hahn. “I think we were both very successful, and the U.S. was very supportive on what we call today North Macedonia,” Hahn tells in his interview with The Washington Post, referring to the resolution of Greece’s dispute with that country over its name. 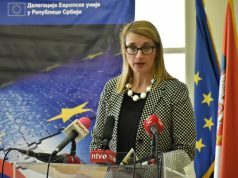 Commissioner hopes that the resolution of the Macedonia name dispute will serve as a precursor to the resolutions of other conflicts, including the “standstill” in the dialogue between Serbia and Kosovo, which he said was caused by trade tariffs imposed by Kosovo on Serbian imports late last year. Resolving the trade issue is now a precondition for restarting dialogue between Kosovo and Serbia, writes Washington Post. Commenting on the role of US in the region he says Washington was in the driver’s seat in the region, not Brussels in the wars of the 1990s and aftermath. “Today, The United States is very supportive of the European Union on and in the region. I think that they are quite happy that we are nowadays in the lead in the region”, explains Hahn, adding the situation has changed. The United States has “hardly any” business interests in the region. It’s a kind of silent return to normality. What is now — so to say — daily routine, that EU is taking care of the situation, in a way is simply a reaction to the situation on the ground, writes Washington Post. 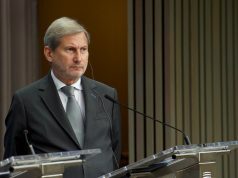 Describing the situation in the Western Balkans region he says there is progress in the region giving the example of Serbia and Kosovo where some clashes, in the past, could have led easily to some violence but “today the leaders pick up the phone and call each other”, says Johannes Hahn. 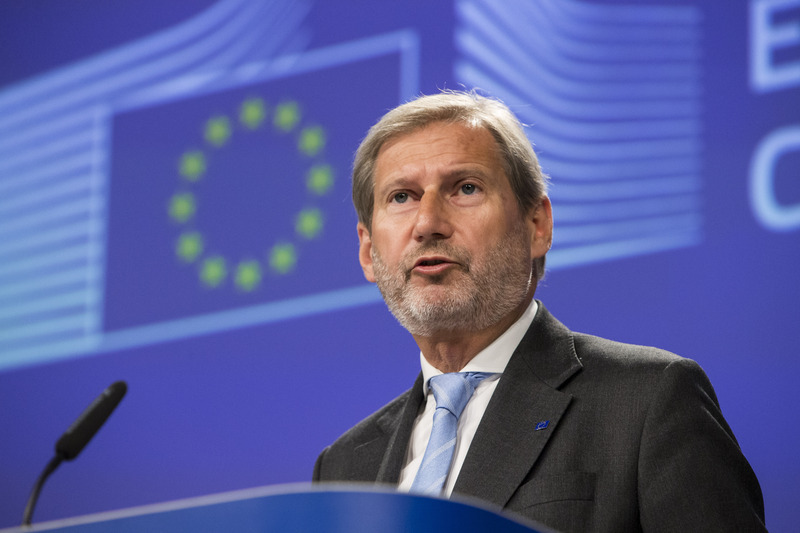 Talking about border changes, Hahn stresses that a legally binding agreement between the two would cover areas beyond the border issue and that “one fundamental element in a future agreement must be the respect of minority rights,” an element of E.U. accession. “At this moment, nobody could predict what would be a final outcome. A possible land swap might be in any case, if you like, a final parcel in a bigger picture. The only precondition we have raised was that any kind of bilateral agreement has to contribute to more peace and stability in the region”, concludes Hahn. 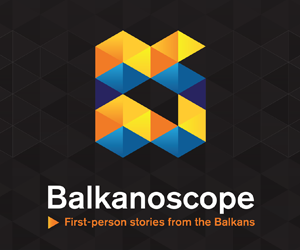 Previous articleWhat is the role of civil society in the Western Balkans?